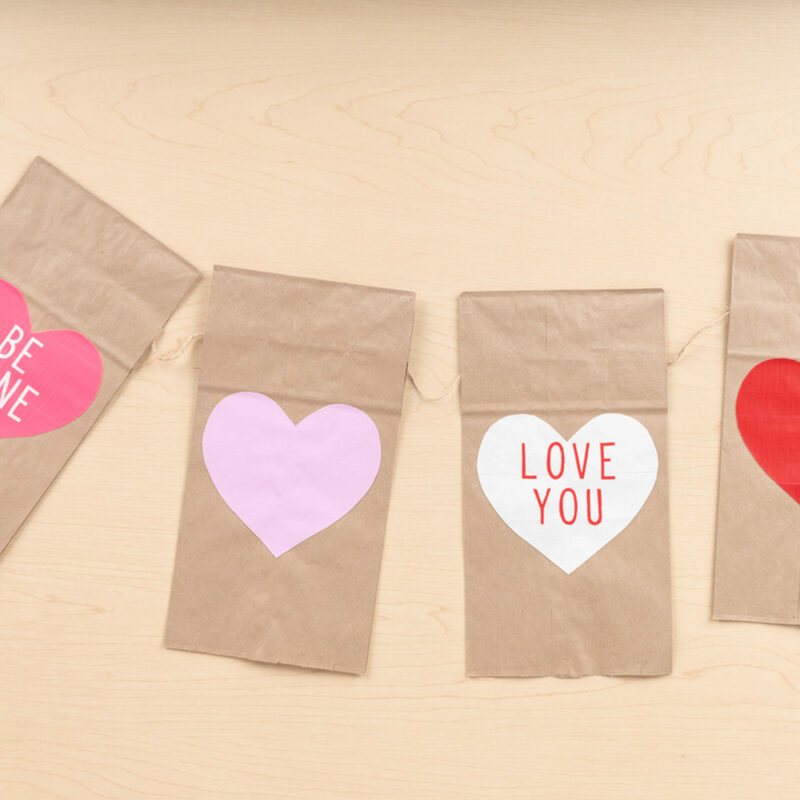 Create decorative, and inexpensive, Valentine's Day garland for the home or classroom with paper lunch bags and some Duck Tape®! 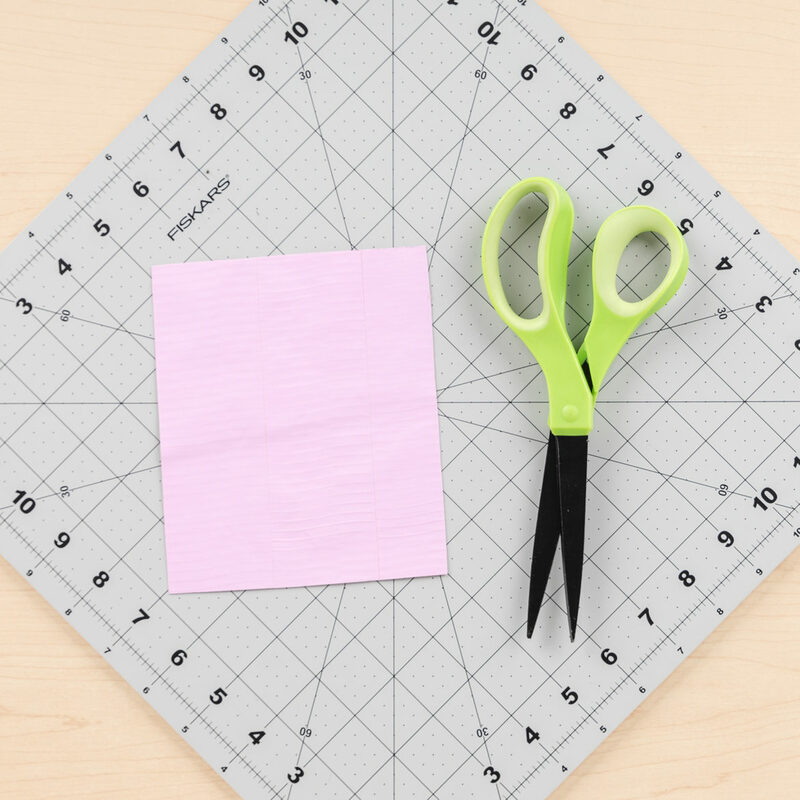 First, create a sheet of duct tape fabric and cover the adhesive side with wax or parchment paper. 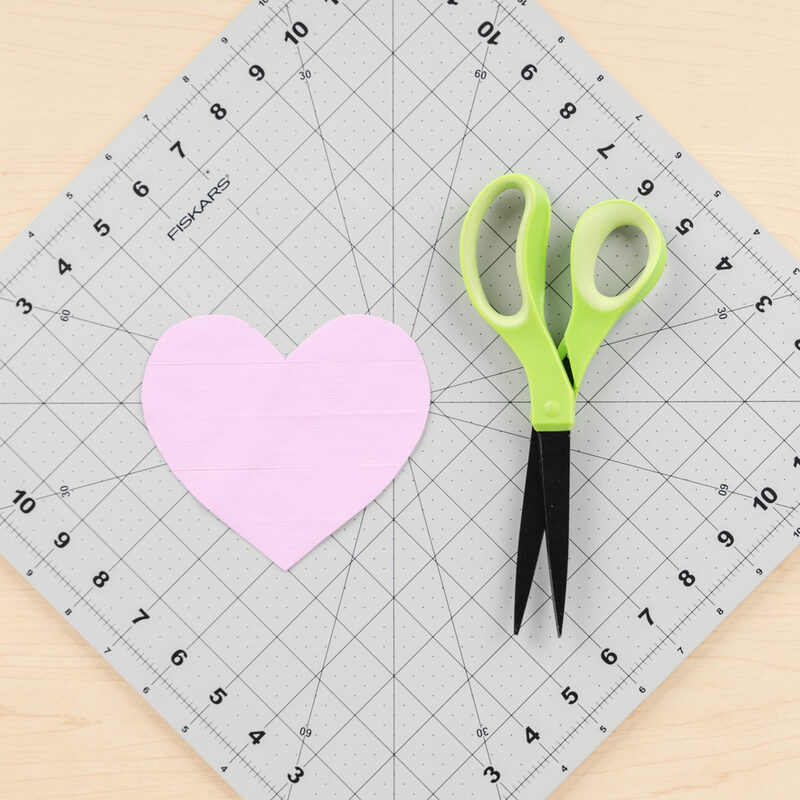 Cut out a heart from your duct tape fabric. 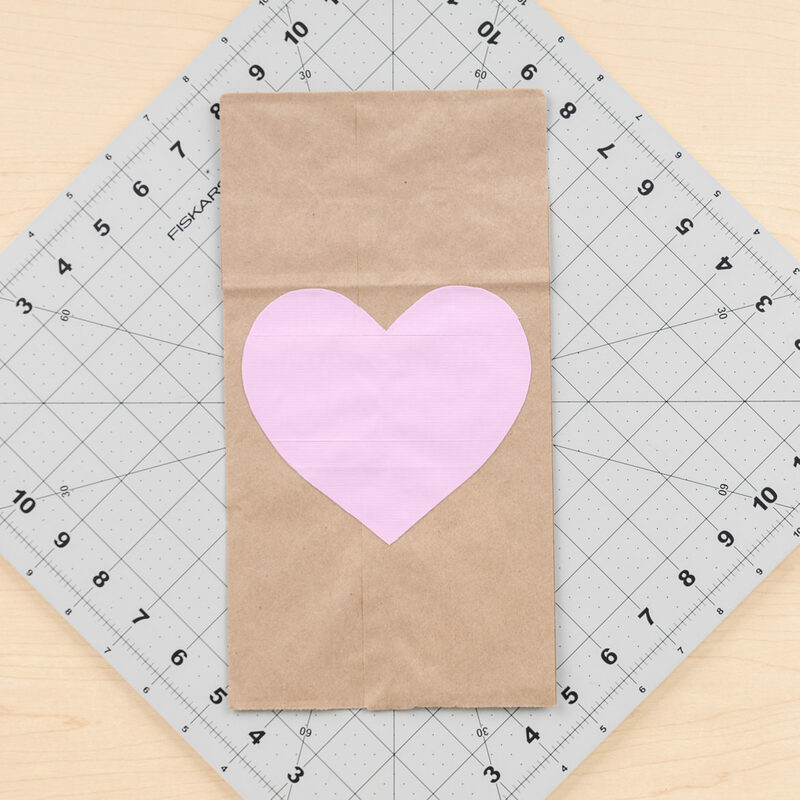 Then, attach the heart to the paper bag. 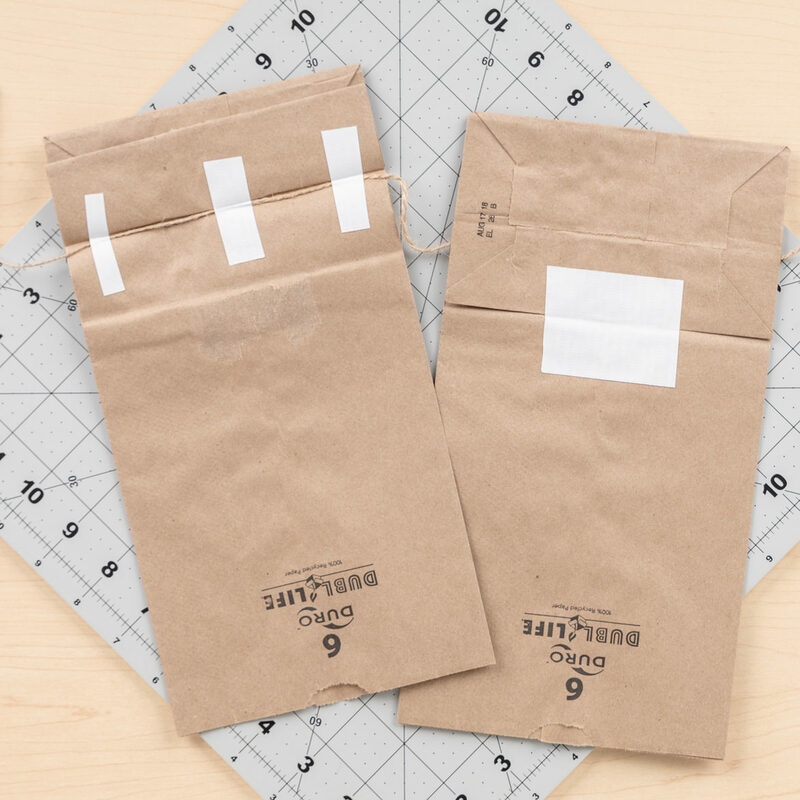 Next, use duct tape to attach twine to the back side of the paper bags. Secure the twine underneath the fold and on the outside of the fold. Get creative! 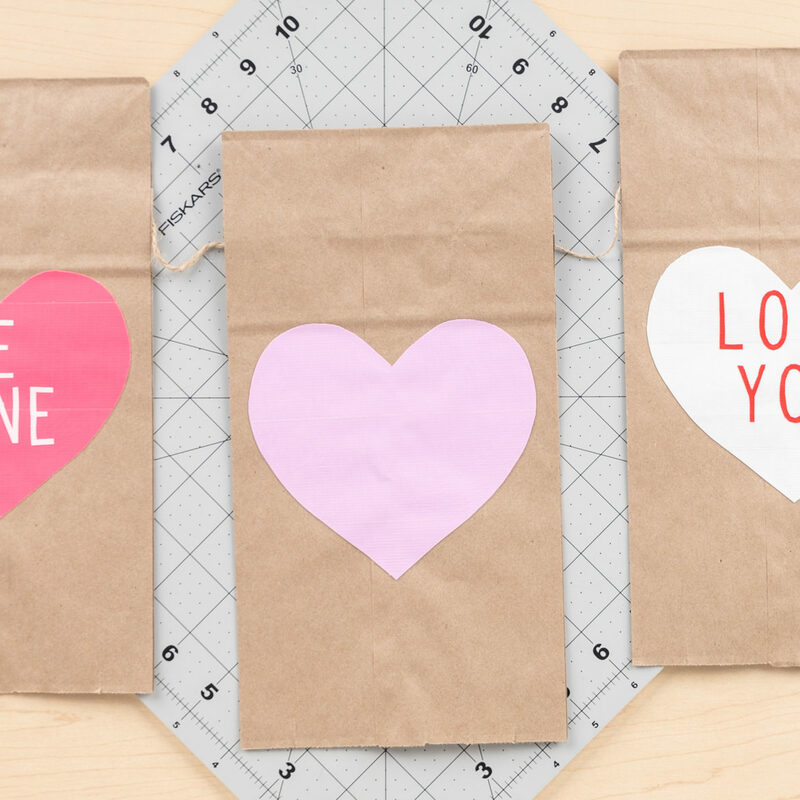 Add letters or bright colors to the hearts for a custom design.